Today is National Doctor’s Day, which recognizes physicians for their hard work and contributions to society. Eudora Brown Almond, the wife of a prominent doctor in Georgia, started this day on March 30, 1933—not only to recognize and honor her husband, but all doctors. She chose March 30 because this was the date that an ether anesthetic was first used, by Dr. Crawford W. Long, during surgery in 1842. As not only the Co-Founder of Jaanuu but a doctor herself, Dr. Neela is keenly aware of both the successes and the struggles doctors face every day. 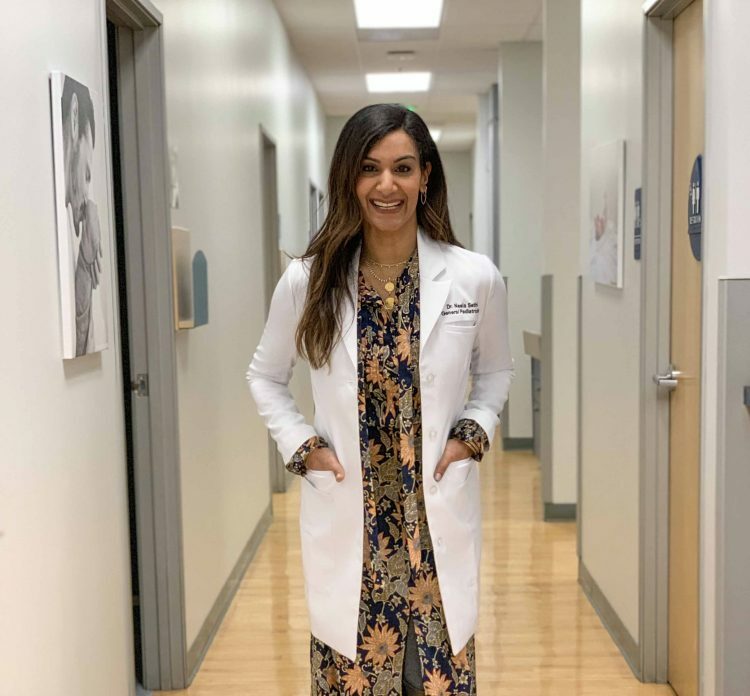 We sat down with her find out what her white coat means to her personally—and what it symbolizes for doctors as a whole. I’ve given a lot of thought to what the white coat signifies. In med school you start with a short coat as a first year student and there’s a white coat ceremony. That’s a big jump, because you go from the craziness of testing and the MCAT to getting that one letter of acceptance from a medical school. You receive it prior to starting your career as a med student. It’s always been monumental because it means something. I remember the day I got my short white coat. I remember my parents being in the audience, feeling like it was a badge of honor, and thinking, “I did it!” That was the start of it symbolizing strength and confidence, feeling like it was a badge of honor. I wore it all four years of med school. There wasn’t a day I didn’t put it on—it was brown by the end because it had been through the trenches! That was the start of it symbolizing strength and confidence. But I also think there’s a flip side and a dichotomy with the white coat means. There are days where I feel like it’s my cape. Then there are days that are more real—you don’t feel your best, or you’re underconfident, or you’re tired, or you’re overwhelmed. On those more vulnerable days, it’s a protective armor and a bit of a shield. You can be strong and you can be weak, but the coat is there to be that consistent force. Once you graduate from med school and you get your long white coat, you really feel like a doctor. I felt like I was becoming a part of history. I remember taking the Hippocratic oath and thinking about the thousands upon thousands of people who took that oath across generations and time—and the fact that we’re all bound by that single statement. The white coat embodied that for me and made me part of the larger picture. There’s also an element to being a strong female in medicine. When I became a doctor, it was the first time I was on equal ground with everyone. I was no less or different because I was a woman. I remember when seeing women in medicine wasn’t as prevalent as it is now. Now it’s changing—this is one of the first times there were more women than men as med students. We’re changing the world slowly but surely, and we’re bringing up awareness of the power of the woman in medicine. The white coat signifies that. I love that there’s a med student out there wearing that short white coat, or there’s a female physician who just graduated, and she can put on her white coat and feel like she’s strong. And I love that there are other women behind her who are supporting her. As a doctor, you spend your life dedicated to helping people and putting yourself second tier. The white coat signifies putting other people’s needs before your own. The second you put it on, you’re a symbol of hope and strength for other people. It doesn’t matter if you’re walking through a parking lot or a grocery store—with your white coat on, you’re immediately noticed as a person who’s willing to help others. There’s a cross to bear with that, too, but I love the idea that the white coat signifies that you’re willing to sacrifice yourself and put others before yourself. Above all, the white coat signifies why we all went into medicine in the first place—which is to help people. That’s the bigger picture of it all. So, today, on National Doctor’s Day—and every day—I celebrate you. I honor you. And I thank you. What does your white coat mean to YOU? Share your stories with us today.